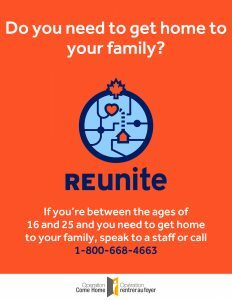 As Canada’s only program that offers travel assistance to runaway youth, Reunite works in partnership with Canadian bus companies to help them get out of dangerous situations by providing them with a bus ticket to get back home to their families. 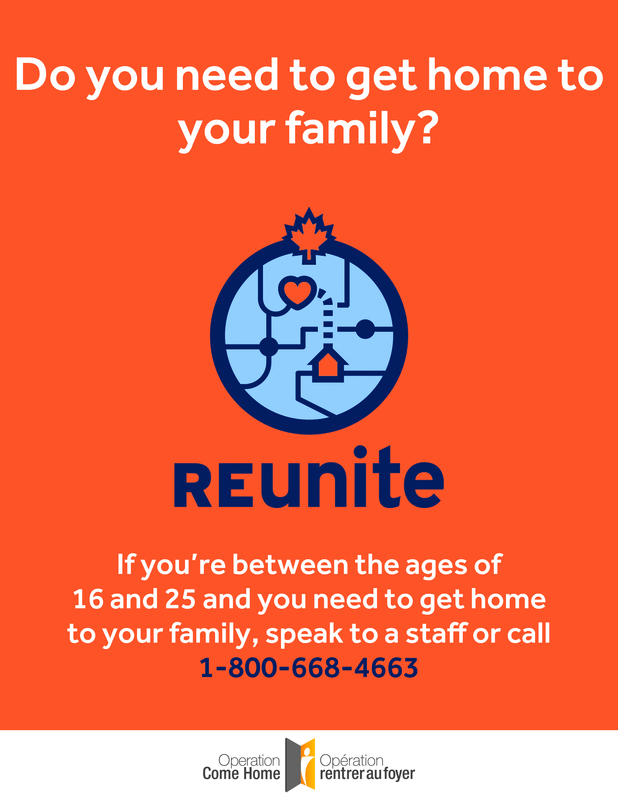 Although located in Ottawa, Reunite is a nationwide program that will travel youth ages 16-25 from anywhere within Canada. Over the past 10 years, we have provided travel assistance to more than 400 youth and have had many inspiring stories of success and reunification. Struggling to find work in your field – but don’t have the experience that an employer is looking for?? We may be able to help. 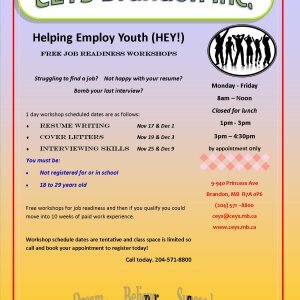 Our “Training Today’s Youth” Work Experience program offers employers up to 10 weeks of wage assistance when they train an unemployed, or under employed youth (who has barriers to employment ) enabling them to find permanent meaningful employment. 10 week program – continuous intake. What motivated you to apply for this project? What do you / did you like most about the project? What will you remember most about your experience? 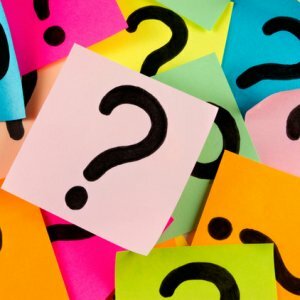 How will attending/completing this project help you with your career? Click >here< to download the survey!